Elite Machinery Pte Ltd was established in the year 1987 as a foremost supplier of all major international brands along with extensive array of Linear Motion Systems and bearings. 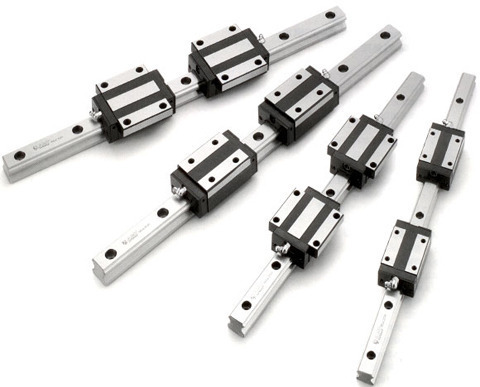 We proudly represent prominent manufacturers of Linear Motion Systems and bearings including THK, Miki Pulley, KHK and TM ROBOT. We offer full and comprehensive range of products which are suitable for the exacting cost-effective and technological requirements of the most modern state-of-the-art automated production lines. Our company truly identifies the significance of environmental conservation. Thus, we also provide wide spectrum of products such as anti-acid bearings, plastic bearings, alkaline bearings and anti-corrosion bearings to effectively meet the demands and requirements of customers to achieve their various efforts in environment conservation. Elite Machinery Pte Ltd is well-known as a leader in the industry, offering wide range of products for different applications. We established great reputation due to our extensive practical expertise and experience that we will continuously implement all the time.